Russia continues to prove itself as a martial arts powerhouse after a near clean sweep at last weekend's Battle of Champions tournament in Moscow. The proud name of the annual event, which was held in Moscow for the sixth time, is fully justified. Russia's top representatives in 11 different martial arts were there to settle scores with their counterparts from the rest of the world. First on the mat were the karate practitioners – three-time world champion, Aleksandr Gerunov, against Italy's two-time European champion, Davide Benetello. The Russian was quick to dumbfound his opponent with his kicking ability, and then proved to have the edge in nearly all other aspects too. “I did what I planned to do – neutralized his legs, and didn't let him kick me in the head – although he managed to hit me with some body shots. 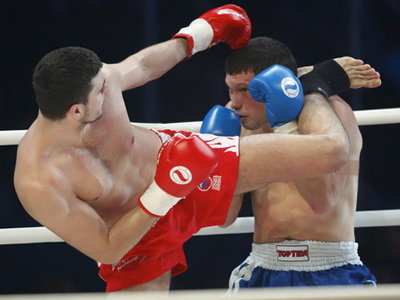 Well, let's give him some credit – he's a very experienced fighter,” said Gerunov. Next, spectators got a chance to watch what is arguably the most ancient Japanese martial art – Sumo. Alan Karaev was Russia's hero and the five-time world champion promptly proved that his mass and size make him a hard nut to crack, even for Kohichi Katoh, who hails from the martial art's homeland. Next up to demonstrate their skills were the shotokan practitioners. Germany's world champion, Daniel Pascal, tested the Russian up-and-comer, Ivan Kiryanov. This time around, it was a punch and perfect timing that decided the matter. Kirianov knocked his experienced opponent out cold, to extend his country's lead. The hosts dominated the event, claiming one victory after another, although the final bout produced a different outcome. The ancient martial art of Pankration, which incorporates both wrestling and striking techniques, was part of the ancient Olympics. 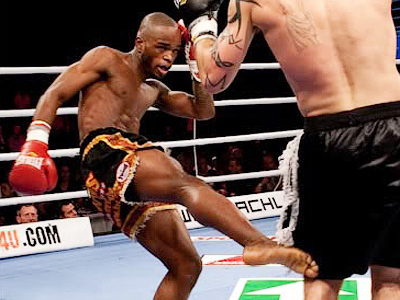 Now it's being revived, with MMA fighters competing with only a few restrictions. Russia's Islam Gugov faced Rafael Silva from Portugal with the title of world champion at stake. The 32-year-old Silva did his best to keep the fight on the ground. And that finally gave him the edge over his opponent, who is 11 years younger and just ran out of fuel by the end of the bout. Nevertheless, overall, the Russian martial artists proved their class with an impressive 10 victories, and only that one defeat.